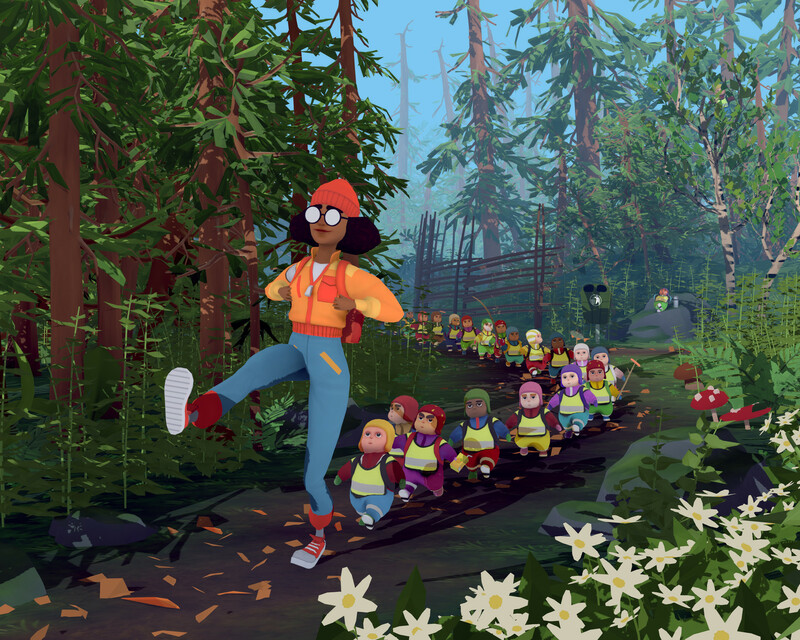 Knåddskogen is a single-player, exploration game where you take on the role as a kindergarten teacher searching for her missing class in the depths of a Swedish forest. It's a bizarre adventure, which turns an otherwise tough situation to something fun and quirky with a lot of humor. 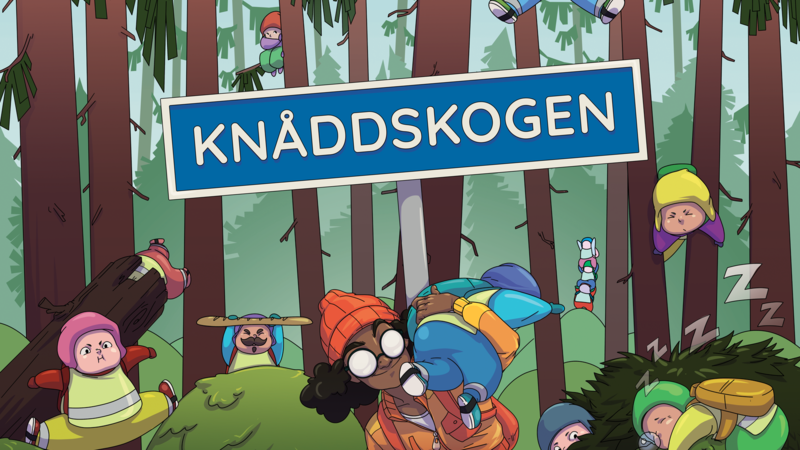 Knåddskogen was made by 9 students during a 7 week course at Futuregames, a vocational school located in Stockholm, Sweden. 2. Extract the files using Winrar or other software of your choice. 3. Open the "Knoddskogen" folder. 4. Run the program by pressing Knoddskogen. Finally got to play this! Loved it! Never knew that throwing children would be something I enjoy doing lol Well done! Fun little game that made me laugh, reminded me of pikmin and was just and overall joy of a game. this is the second game I played. This Game Was Super Cute! I Ended Up Getting All Children And It Was Really Funny If I Could Rate It I Wold Rate Nine In A Half Stars! Very fun little game you guys made! The concept was refreshing ! keep up the good work. This group has a future as gamedevelopers. By looking at it, it doesn't look like much. But then you start to play it. Man, you are in for a funny time collecting these kids. I had a great time playing this and I wanna see more from you guys in the future. This game was both fun and interesting. So many things you actually put in the game that you can find in Sweden, from the design on the kids clothes to the enviroment itself. Keep this up and show us more of your creativity! So cute and chill. It's really creative how you extract such subtle life experience and expands it into a playful game. Had such a great time playing! Happy this exists! Great game, really enjoyed playing!! I loved pikmin, so I love this game. This was so much fun with that crazy twist of throwing the little kids. Totally loved what they did and the concept of the game! Thank you so much for your kind words and Pikmin was a huge inspiration for us when making this game so I'm glad you liked it! I know this game is suppose to be used with a game pad for it to have the best experience. Unfortunatly I don't have a game pad so had to wing it with the keyboard. Thankfully there are keyboard commands for playing your game. It took some time to figure out which key was the throw key. For those wondering it's C i'm sure if I had a game pad it would have been 20X more fun. Thank you for playing and also clarifying the controls for keyboard users, I will add it in the description. As you mentioned the experience is much better with a game pad and I hope you get a chance to try the game with that later. Don't worry kids, I'm here to throw you into the trees! So from playing for 20 minutes or so, I think it's a super cute game. 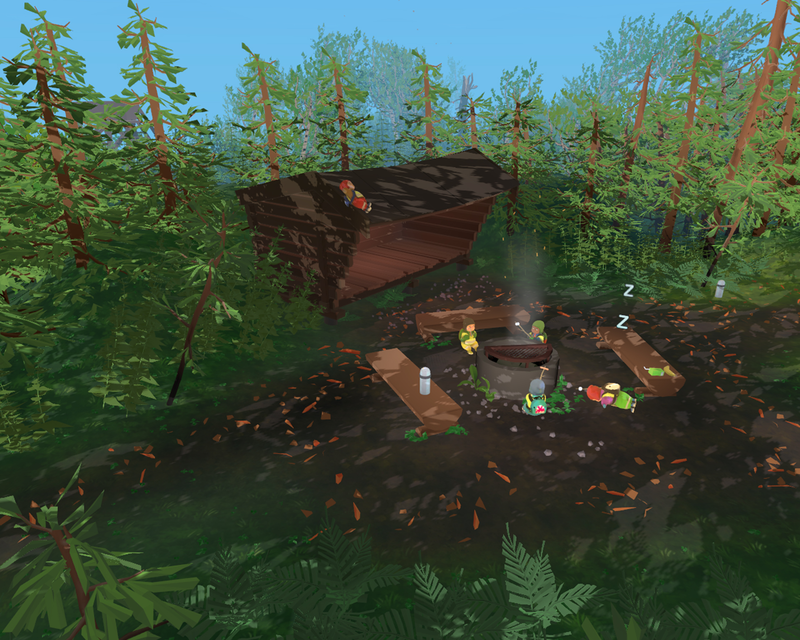 It was pretty relaxing and served as a nice break from the normal horror or shooter game I would play. It reminded me a lot of the ol' Pikman games I used to play when I was a kid, as I mentioned in the video above while playing. Only came across one minor bug with a tree falling but that's it! Definitely check it out if you want to play a relaxing cute free game for a short bit to take your mind off things! What are the controls for a keyboard? 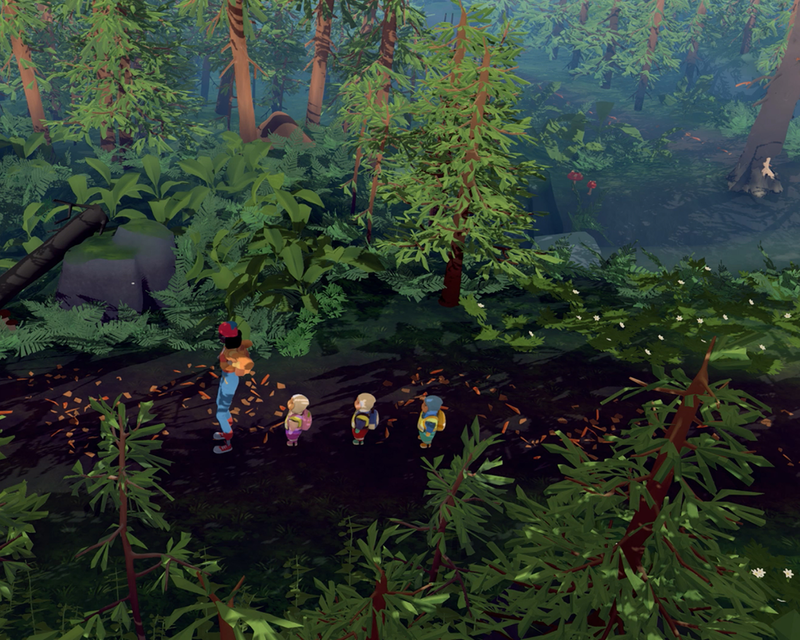 Wow, the graphics and the audio have been put together really well and you guys have added a sense of humour by having to throw the kids at the kids in the trees and on the roof to wake them up. Well done. Somehow I get a Fleischer Studios vibe from this game. That and the art style also emits the same vibe. This Game is Great i had fun throwing those kids hahaha!!! Hei det veldig kult det her. Vilken platform är den på? Står att det är inte anpassade för Windows. Iden för detta spelet är AMAZING :) . Hittade detta via SGA. Stilen är sjukt nice o passar verkligen spelet. 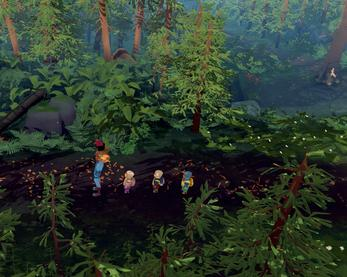 Tack så mycket, kul att höra att ni gillar Knåddskogen :D. Jag kollade in ert spel också, lamorna som kommer skuttande över berget i trailern var fantastiskt! Det blir helt klart att testa detta :) Lycka till i SGA!